Institute of International Relations and Political Science together with Lithuanian Free Market Institute invite to the public discussion about Authoritarian Populism in Europe. Event will take place September 15 (Thursday) 5 p.m. room 402 (4th floor) at the IIRPS VU. On 14th of April ambassador of the State of Israel to Lithuania Amir Maimon will visit IIRPS and will give a lecture on topic “Israel - regional challenges”. A lecture will be held on 14th of April, 3 p.m. at room 402. The lecture will be followed by the discussion moderated by doc. dr. Margarita Šešelgytė. More information about the ambassador can be found here. 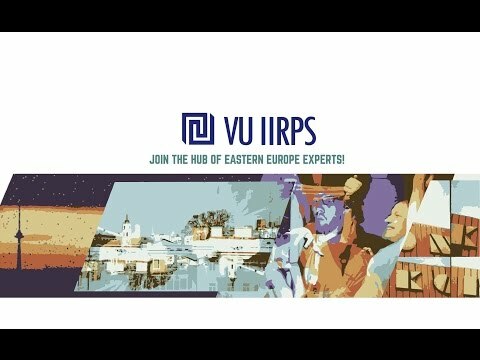 IIRPS VU together with the Seimas European Information Office and the Faculty of International Relations, Ivan Franko National University of Lviv invite you to a video conference on effective information environment building in Ukraine. The event will take place on March 20, Friday, 2 pm at Seimas House. Register online till March 19.